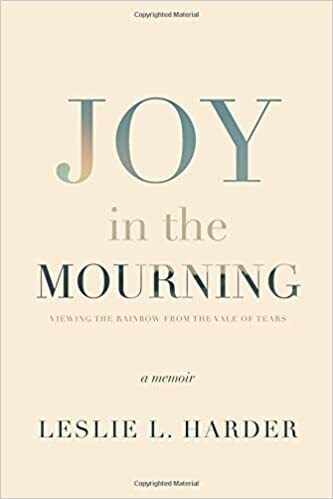 My friend and fellow bereaved mom, Leslie Lamm Harder, has published a book chronicling the first months after the sudden death of her son, William. I’ve not met Leslie face-to-face but have had the blessing of her long distance friendship for over a year now and am constantly and consistently encouraged by her words. I believe you will be too. Leslie has written a memoir that takes an honest yet hope-filled look at life after child loss. I appreciate that she chose not to edit out the questions, the hard days, the words that reveal the struggle a heart has to go through when tragedy strikes. While always clinging to and pointing the reader back to her hope in Christ, she doesn’t hide the truth that hope cannot take the pain away. It makes it bearable, but it does not remove it. Many books about child loss are written so long after the event that some authors’ words are inaccessible to the parent who has just started down this path. The author has reached a point of healing that a freshly broken heart can’t comprehend. But it is very slow and incremental and not without setbacks. Leslie’s book is an excellent aid for any heart seeking to hold onto hope in the dark Valley of child loss. She walks us quietly, gently down the path without insisting on an early declaration of “victory in Jesus”. It will be on my shelf forever and I will be giving copies to parents for years to come. Next Next post: Willing Submission or Fatalism?